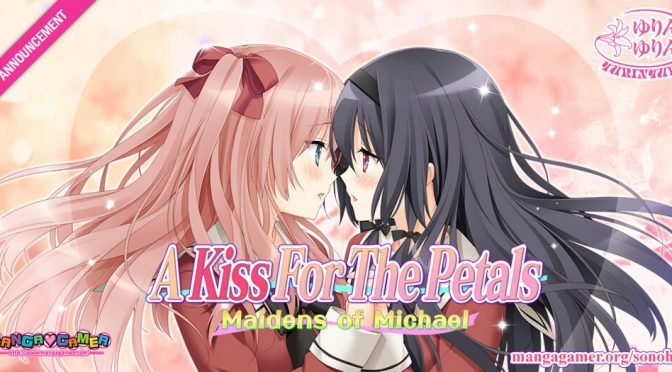 Update 26 January 2018: MangaGamer has announced A Kiss For The Petals – Maidens of Michael is scheduled for release on 22 February 2018 at a price of $34.99. Pre-orders are now open on MangaGamer.com at a discounted price of $31.49. See this post for more information. Update 6 February 2018: A demo version is now available from MangaGamer.com. 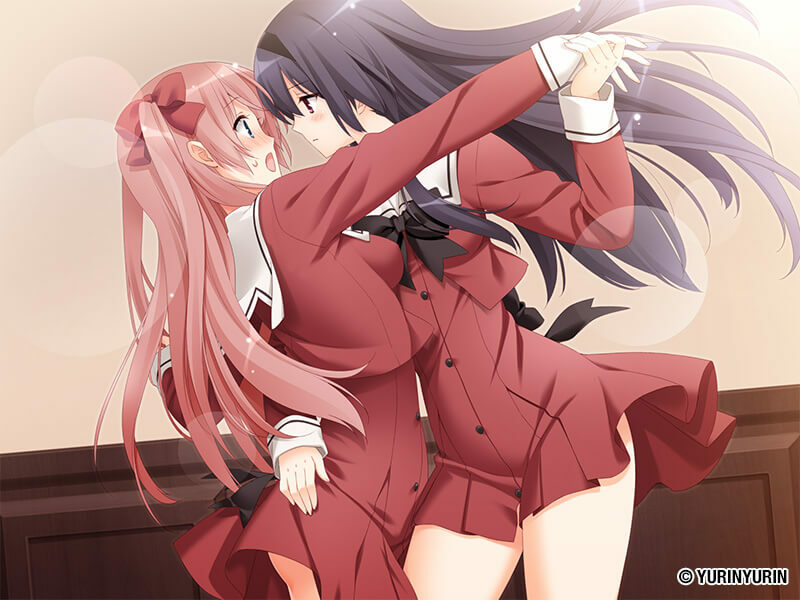 It includes the first few chapters of the common route and excerpts of one love scene from each couple’s storyline. MangaGamer has announced an English localization of A Kiss For The Petals – Maidens of Michael at Otakon 2017. 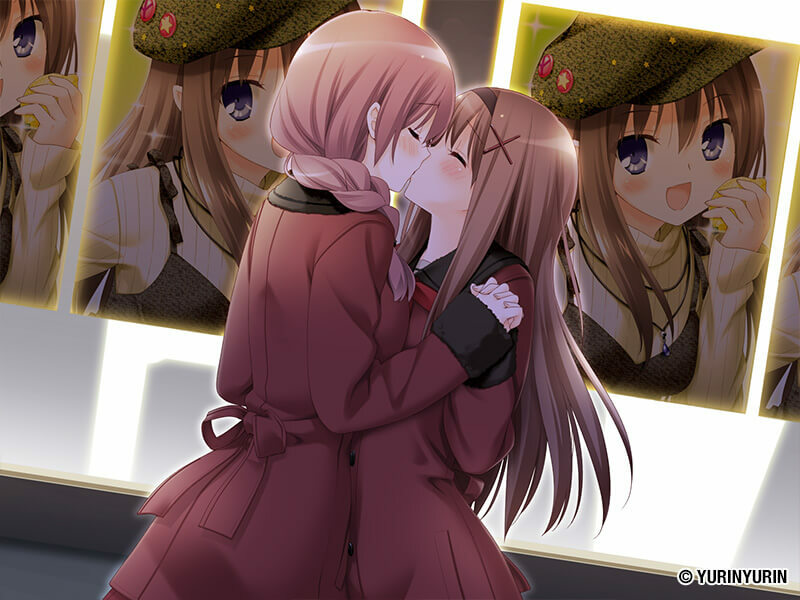 The flagship release of Yurin Yurin is the first full-scale visual novel in the A Kiss For The Petals series, and the first to introduce the couple of Risa and Miya. As with previous releases, I will serve as localization supervisor and editor. It will be available for Windows, macOS, and Linux. Further information on the release will be added to this post as it becomes available. 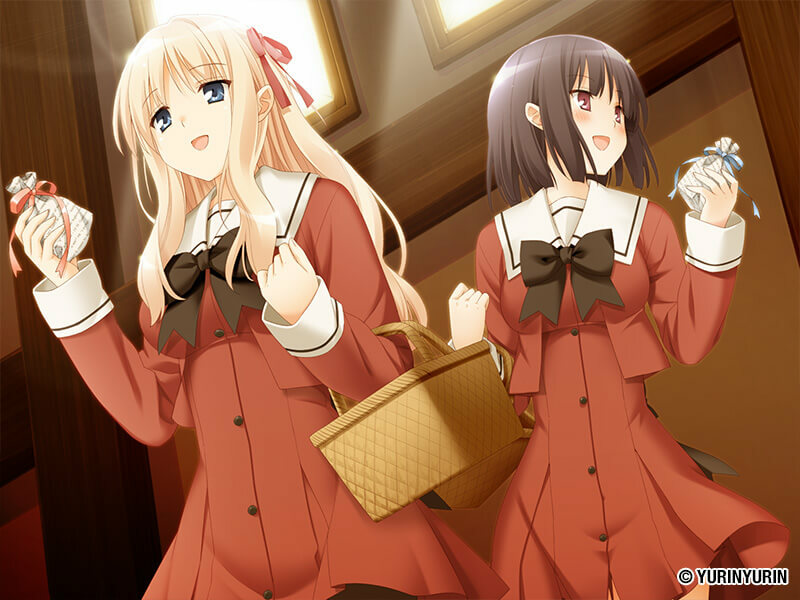 Screenshots are available on MangaGamer’s website for the title above. The press release from MangaGamer is below. Picking up from the famous, original A Kiss for the Petals titles, Maidens of Michael reintroduces the five couples fans have grown to know and love while expanding on their story, sharing many new months worth of development as their relationships lose their freshness and encounter the hardships of long term love. As these ten girls learn how to manage life and love, grow, and support each other, a new budding couple is introduced as well. Today at Saint Michael Girls’ School, the class representative for the first-year “Snow” Class, Azumi Risa, had once again been fighting with the class troublemaker, Ayase Miya. Risa, who is earnest and hard-nosed, and Miya, who hates to cooperate with others, couldn’t have been less right for each other, as they were always on the verge of tearing each other’s throats out. So then how did she and Miya end up being chosen?! Although Risa naturally denied that they shared that kind of relationship, the classmates who had selected them would just smile with the reasoning of tempered young ladies who had been raised in respectable families and say, “You always look like you’re having so much fun.” Resigning themselves, the two decided to go along with it, “Just for appearance’s sake,” and it seemed they would have to stick it out through the coming holidays of Christmas and Valentine’s Day along with four other couples as the committee members for various events. The president of the Campus Improvement Committee, Matsubara Yuuna, and her junior, Oda Nanami. The renowned student model, Kitajima Sara, and her cousin, Kitajima Kaede. The singing sensation of the culture festival, Kawamura Reo, and her girlfriend, Sawaguchi Mai. And last, but not least, the girls of the Lily Platinum fan club, exchange student Shitogi Eris, and the school’s foremost scribe, the highly respected Kirishima Shizuku. In other words, only the most preeminent couples on campus. Will the big name couples be able to handle the events that follow? And will Risa be able to survive the lovers’ holidays of Christmas and Valentine’s with Miya?